Below you will find a list of partial aircraft kept in the area. If you know of a wreck or relic that is not listed here, then please contact a staff member. Please remember that the majority are privately owned, and therefore kept on private land. So please contact the owner first before visiting. 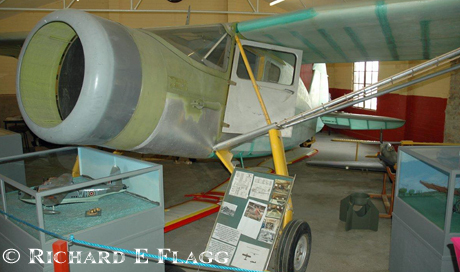 The Heritage centre can be found at North Rauceby, close to RAF Cranwell. This is a excellent example of a cockpit. Please contact the Heritage centre if you require more information or wish to view it. This is an excellent example of a cockpit and is owned by Charles Ross, Chairman of the Lightning Association. Please contact Mr Ross first if you wish to view it. This aircraft can be found on the Woodhall Spa to Coningsby road (B1192), in a field just past the Abbey Lodge (if coming from Woodhall). She is on private land, so please do not enter without prior permission from the owner. The owner can be contacted via the UKAR forum (dh82jon). 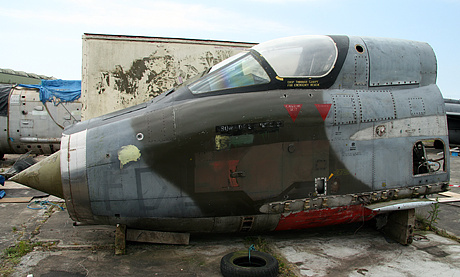 This aircraft has seen better days, but is largely still complete. The owner has the wings and tail for her, but has yet to attach them to the airframe. 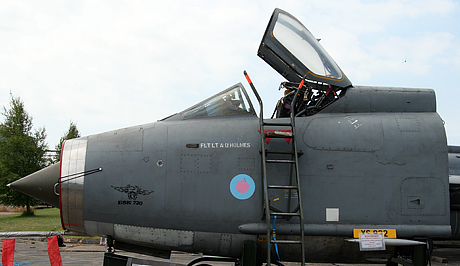 She is kept at a farm located near the village of New York, close to RAF Coningsby, along with a Tornado GR.1 (ZA361). 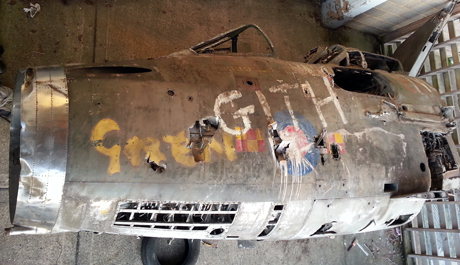 This aircraft is in fairly good condition, and is largely still complete. The owner has the wings, tail and nose section for her, but has yet to attach them to the airframe. She is kept at a farm located near the village of New York, close to RAF Coningsby, along with a Lightning T.5 (XS416). 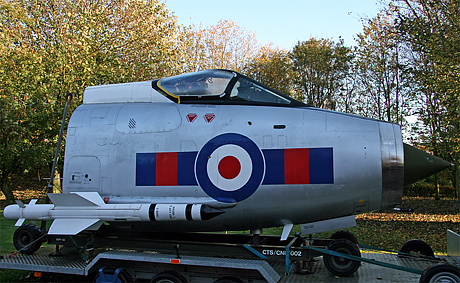 This iconic aircraft may be better known as the Lightning at the side of the A1 at Newark, Notts. The cockpit has been saved by a private collector with the idea of restoring her to her former glory. The restoration has started on the aircraft and we await the final results, which given the owners extensive knowledge of Lightnings, will be fantastic. This cockpit is owned by LINCAIR, and can be seen clearly through the fence on the old flight line. Please contact LINCAIR if you require more information or wish to view it, as the cockpit is normally covered up. This aircraft can be found on the property of the old ASF hangar. Internally she has been striped, but the exterior is still in good condition, but has several panels missing. 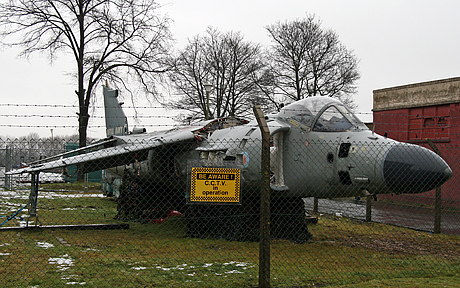 Please do not tamper with the fence surrounding the aircraft, as she stands on private ground and is privately owned. 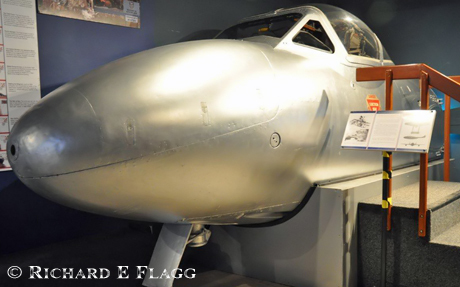 This is an excellent example of a replica airframe. There is a small charge to enter Thorpe Camp and view both this airframe and others housed here.